Q What is now happening in our country? We are carrying out our work and the plans for development of the country are now being finalised, and within the next six months or one year the envisaged work would commence. About 170 projects coming under the Megapolis development in the Western Province had been planned out and we hope to get the investors. With regard to Hambantota, the loss-making airport and the harbour are being our concern and plans are being drawn now to develop the harbour and the airport, and discussions are underway with Chinese companies. The work should begin by October or November. We are also planning to develop the City of Kandy, and the Trincomalee Port and the surrounding area with the assistance of companies in Singapore and Japan. We are hoping to develop the North Western Province by opening free trade zones. No, we have stopped it. We are now doing it differently with a new approach. as The free hold that was given to China was stopped. Many changes were made. A close scrutiny of both agreements would reveal this. Earlier agreement mentioned about 20 hectares given as free hold land. Had we given it, there wouldn’t be any room for discussions or we wouldn’t have any rights.It was changed to a 99-year lease. It should also be noted that the earlier agreement, all expenses -- until its development had to be borne by the government. Now an agreement has been reached to share these expenses between the government and the Chinese company. Q When are you hoping to resume the project with the new changes? By August 15, the new agreement would be signed and by October the work would commence. The issue here is that we have to repay the loans taken by the former regime. It amounts to about 9 trillion. We cannot find money to settle it at once and we need some time for that. We must develop the country’s economy to earn. Until such time, we have to obtain loans, but not haphazardly. Q What are the new plans for obtaining loans? Earlier loans were obtained to build roads, ports and airports, and now, you have to look up and wait as they do not generate any income. What we do is obtain loans and invest them in such a manner as to derive an income. They also built the port spending a colossal amount of funds which did not bring in any revenue. These are such things we are going to change. Q There are protest marches everywhere and agitations are continuing. Do you think investors would come under these circumstances? That is what is called the freedom to express. The masses did not have it early, and this is also considered a change. Anyone has the freedom to stage protests, we do not obstruct them. We have a forward plan and two parties had joined to march forward, ultimately the masses would realize when they reaped the concessions. The investors are not deterred by these protests as these are not something new to them, as they too experience similar situations back in their countries. They know well that these protests and marches are not going to make any impact at all. We also engage in street marches with a purpose to develop the country. While the others stage protests to wrest power. We also stage walks in Hambantota, Anuradhapura and Trincomalee purely for the purpose of development. Their recent walk was to grab power. If anyone looks back at the last 11 years they were in power, they would realize what they had done. We have only completed one year. We work according to a plan. Merely building roads, a harbour or an airport is not going to help. People’s needs should be given importance and development should be carried out to fulfil the people’s wishes. Q The country’s entire business community came out in protest against VAT. Why is the government mixing up its priorities? They may have had an issue. No one likes to be taxed highly and all should take the blame. If we need to develop our country, our education and our health services, we may have to pay higher taxes at least for a certain period. Q The VAT proposal had not received the approval from Parliament? I agree that there was an issue, and not sufficiently convincing to the masses. There is no need for drastic changes as both parties had discussed and come to a collective decision. We don’t see any necessity to amend this proposed Bill. We have already discussed the issue and effected the amendments proposed. We have removed the tax from health services and similar changes were already made. There is no issue with regard to the continuation of this government. We will continue for the next five years. The issues are being discussed by the President and the Prime Minister. Even when preparing the budget, a special budget office is established and discussions are held involving all. Q If there is no issue about power, why have the secretaries of both parties issued a joint statement saying that the National Government would continue for five years? It was not a hasty decision. There were discussions to continue the government for five years as developing this country needs time. It was a decision taken for the good of the people. In order to develop this country, this alliance may need to continue for ten years. 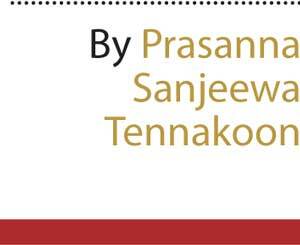 We must extend an invitation to other parties, such as the TNA and JVP to join in the development of our country. I know very well that these parties too consider that in order to develop this country, there should be a unified effort. Q Extending the agreement for five years was made on the eve of the so- called Paada Yathra. You all had fears over this protest march? 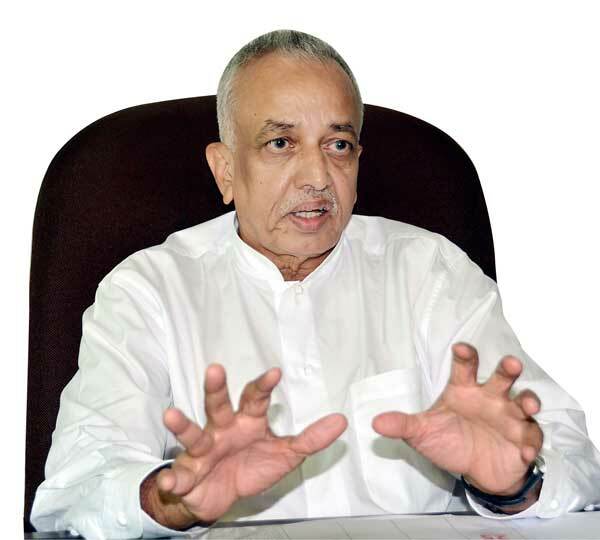 The Paada Yathra had no effect on the government or the UNP. The issue is in the SLFP as it might lead to a split, which we do not condone. It is not an issue for us. Unlike in earlier times, we do not buy over MPs from opposing camps. Both parties had come together on a certain agreement to forge ahead. Q Are you all afraid of holding the local government elections? Not at all. A new system is to be in place by March according to Minister Faizer Mustapha. We are also at a loss in not having a majority of our members in these councils. We have no intention of postponing these elections. Q How come Arjuna Mahendran, who was not eligible to head the Central Bank be appointed to chair the government’s economic operations committee? It is not true, there is a special Economic Committee headed by the Prime Minister with several ministers, but not Arjuna Mahendran. We can use his experience and expertise. Even the President had declared publicly that Presidency would be abolished. We too are of the same view. He had not said so. What he had said was that a mechanism would be put in place including them. According to the laws of the land, there is no possibility for foreign judges, and our own judges should hear them, there is no issue on that. We should prove to the world that we are acting independently by putting in place a proper mechanism.